Peacock: It was declared the national bird of India because of its grace and beauty and connotations related to Indian philosophy and spirituality. 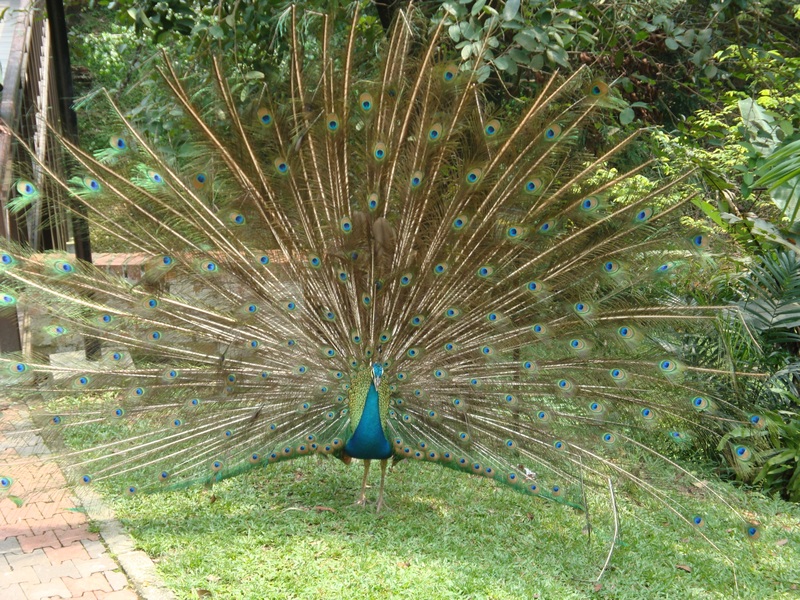 Indra, the Hindu god of rain and thunderstorms, is often portrayed as a peacock. It is also considered as the vehicle of Hindu god Muruga. It’s believed in India that when the male bird spreads its wings, rain is on the way. 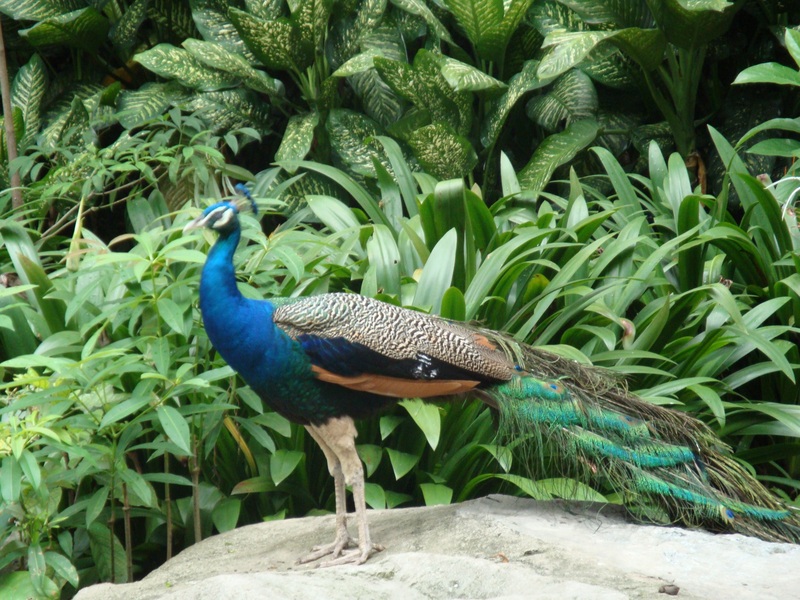 Wild peacocks live in forested regions near water bodies in India. The bird is also domesticated in villages. Magpie Robin: This bird is found in India, right from the Himalayas in the north to Cape Comorin in the south. 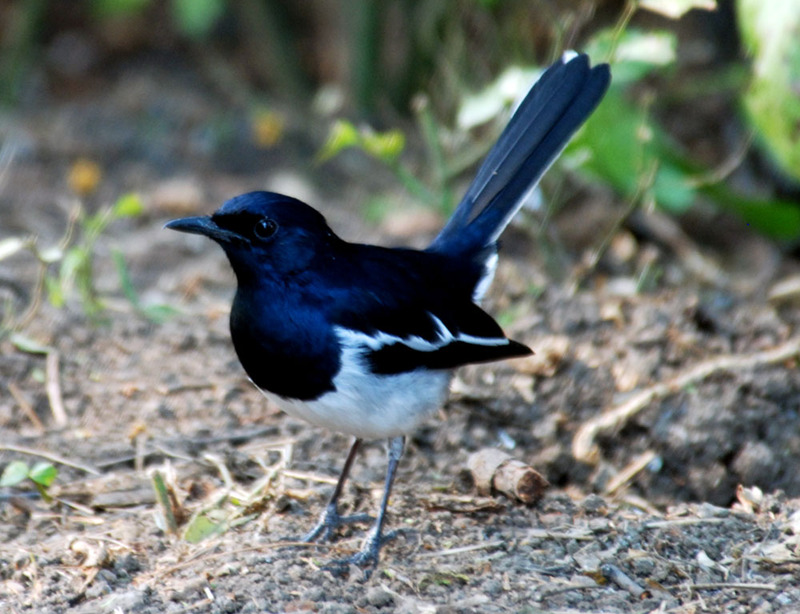 At one point of time, it was believed that at least a pair of magpie robins lived in every Indian garden of Agra and Oudh. 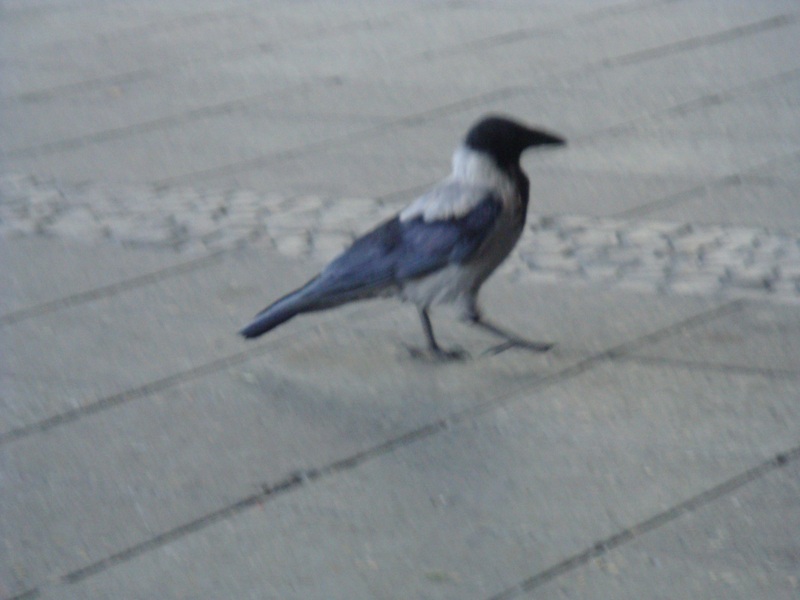 The male bird is a white and black bird, unlike the larger English robin. It’s seen as flying above the ground at a height of 6000 feet, performing gymnastic feats in the air. It lays eggs either in the hole of a building or in the hole of a tree. Indian Snake Bird: This fish eating bird has a dagger like beak and long neck. It throws the fish up in the air and swallows it. It’s an agile swimmer and powerful flier. Nicknamed the Indian darter, the bird is found both in salt and fresh water bodies; in creeks, tidal estuaries and lakes. Once, this bird was kept as a pet by Indians. The Buddeas, a band of gypsies who wandered all over East Bengal in boats loved keeping these birds as pets. Minivets: This bird is as colorful as a rainbow: red, yellow, gray, blue, green, black and white. These tiny longed tailed birds are veritable nomads who don’t remain in one place, unless they are nesting. 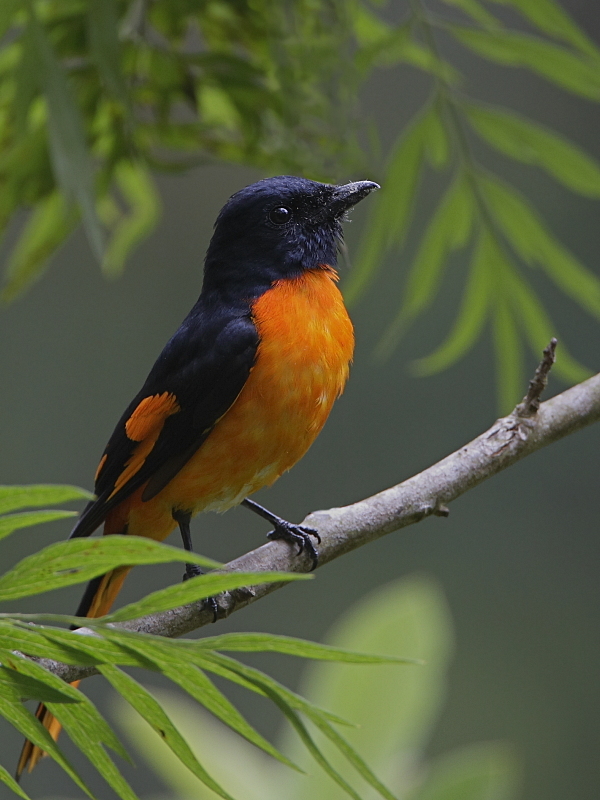 There are various species of minivets in India, with most of them dwelling in the Himalayan mountain range. The cup like nest of these birds, composed of grasses, twigs, moss and cobwebs is in itself a work of art. Pied woodpeckers: Of the many species of woodpeckers that dwell in India, a few have pied plumes. Most of them live in the Himalayas. One species lives in Cochin and another in the Andamans. This black and white bird has a yellow forehead and short red crest. The lower plumes are white in color. Like other woodpeckers, this bird also searches for insects in tree trunks. Nuts, seeds, berries and fruit are also a part of its diet. 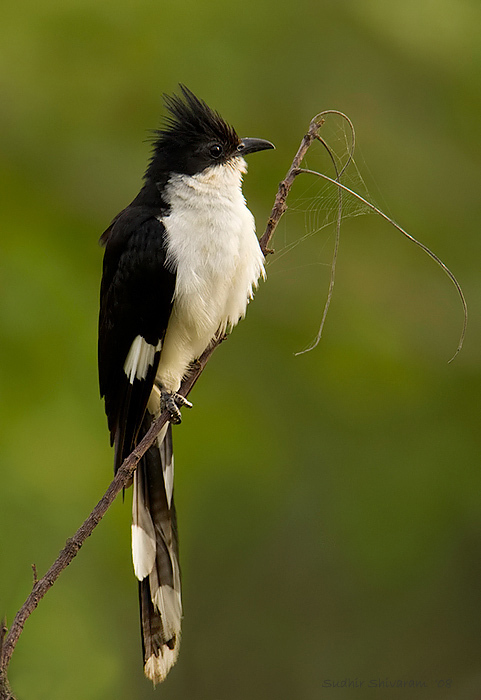 Pied crested cuckoo: The upper part of the bird is black and the tail feathers are white. It’s also called the Rain Bird as with the onset of the monsoon, this bird can be seen. It has migratory instincts and graces India during the wet season. Vulture: This bird of prey, though available all over India, is depleting in numbers; nine species of vulture exist in the country nowadays. They are most prominent in cremation grounds. A common sight is vultures feeding on the remnant of an unburned corpse which is afloat on the water of the River Ganges. The Indian Robin: This bird is found in grassy and stony regions and scrub forests. They lurk in dry habitats and avoid areas of wet rainfall. These birds have queer nesting habits with nests made of grass, cotton and vegetable fibers. The nest is lined with human or horse hair, feathers and snake’s skin. It mainly feeds on insects but may catch a lizard or a frog when feeding the young. The Shikra: This bird of prey is a slightly built bird as big as a pigeon. The upper plumes are gray, the wings and tail are black, the breast is white with brown spots in young birds. It was a favorite of falconers as it could be trained to procure food with great alacrity. However, as it has feeble claws it can’t tackle large quarry. The bird feeds mainly on lizards and also gulps down sparrows, small birds, mice and rats. Grey Hornbill: This bird is found on the plains of India at an elevation of 2000 feet. It’s found in the southern Himalayan foothills and the Ganges delta in the east. It makes nests in the hollows of lofty trees between April and June. It tries to keep away from human beings, which is why it loves to inhabit forest tracks. It feeds on fruit, and is often seen on Banyan and Peepal trees. After plucking a berry, it tosses the fruit up into the air and then catches it with its beak. Flamingo: The two types of flamingos which exist in India are the common and lesser flamingos. Flamingos can be seen in lakes and backwaters around Chennai. The Pallikarnai wetland in Chennai, Kutch Desert Wildlife Sanctuary in Gujarat and Sewri in Mumbai are some of the places where these birds are found in India. In the Runn of Kutch, when there’s sufficient rain, flamingo nests can be seen. The bird is unfortunately decreasing in numbers in the country. Paddy Bird: Also known as the pond heron, it looks for prey from small water bodies. It is often seen at the side of soaked paddy fields. It’s frequently seen standing on the water’s edge, all huddled up. It bears the ill reputation of being a lazy creature. The bird loves snacking on frogs and water insects. It is commonly seen in the country’s wetlands. It is often seen making use of the water hyacinths to dig deeper into the water to find prey. Merlins: They are pygmy falcons which are found at both sea level and high mountains. They feed on reptiles, small birds, insects and bats. They tend to inhabit deserted nests of other birds. In earlier times, they were used for the purpose of falconry. Green pigeons: In the wild, these birds love to inhabit fruit trees, preferably in forested areas. It happens to be the state bird of the Indian state of Maharashtra. These yellow footed green plumed birds live in flocks. 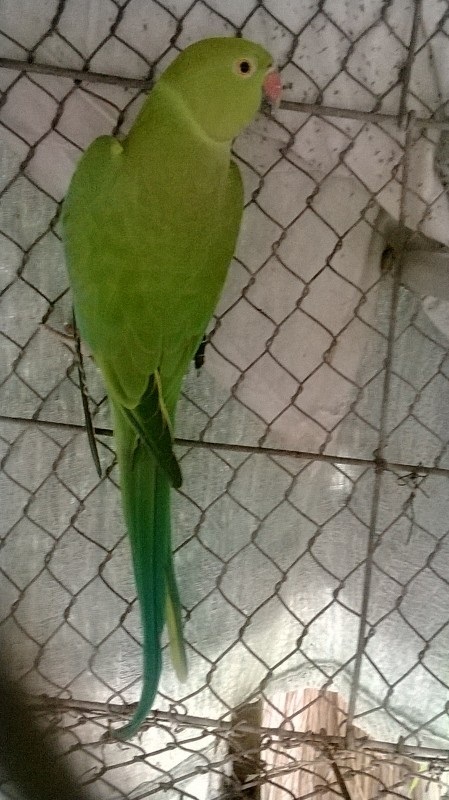 Parrots: These birds are often kept as caged pets in India. Some pet owners even clip their wings and teach them human talk. The Kamasutra manual says that it’s necessary for a man to teach a parrot to talk. They are also considered birds of love in India and many a fable has been woven around them. The first written mention of the parrot was apparently in the ancient Rig Veda text of India. Parakeets: These birds which have originated in India live from 25 to 30 years. The Ringneck variety can live up to 50 years. The Ringnecks feed on fruits, seeds, nuts, vegetables and berries. 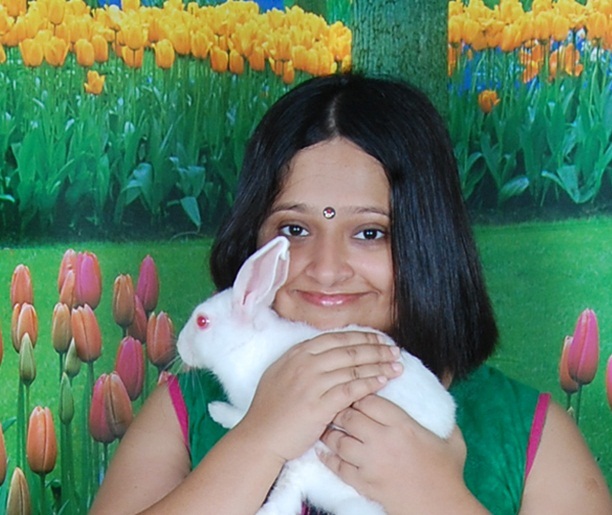 They are seen in miniscule cages in many Indian households, though it’s illegal to do so. They’ve been bred in captivity in India ever since 200 BC. They are popular as pets as they can mimic human voice. Bulbul: There are various kinds of bulbuls in India. They come in various colors- yellow, red, orange etc. They munch on fruits, seeds, tiny insects, nectar, arthropods and small vertebrates. These birds are known to be monogamous. Common Cuckoo: This solitary and shy bird is found in open woodlands and forested areas. In villages, the sweet song of the bird, rings through the trees, especially in spring. It also has the negative reputation of being a brood parasite. It lays a solo egg in the nest of a crow or a drongo and destroys an egg from the nest to lay its own. Thereby the lazy bird shirks the responsibility of child raising. Wire tailed swallow: They are called wired tailed as they have fine long outer tail feathers which hang like wires. They are generally spotted in pairs near water bodies and human habitats. They feed on insects which are often caught while they are flying. They build bowl like nests close to water bodies. Kingfisher: Out of ninety species of kingfishers in the world, a dozen are found in India. The Common Kingfisher or River Kingfisher is quite widespread in the country. The White Throated Kingfisher, also known as the Tree Kingfisher resides away from water bodies. The Pied Kingfisher is found in fresh waters. The Blue Eared Kingfisher is spotted in streams in deeply wooded areas. The Oriental Dwarf Kingfisher loves to live in shaded streams in moist forests with broad leaved trees. The Brown Winged Kingfisher is seen in mangroves, coasts, creeks and tidal rivers. The Stork Billed Kingfisher dwells in sluggish waterways and shaded lakes. The Ruddy Kingfisher lives in forested swampy mangrove areas. The Crested Kingfishers prefers swift mountainous rivers and river foothills. Terns: Though predominantly sea birds; they are also found in marshlands, ponds and lakes. They also eye places which are fast drying up, as they can find their prey which comprises of fish more easily there. Red Turtle Dove: This bird exists throughout India, more so in South India, Punjab and Uttar Pradesh. It’s a summer visitor to the country. They like to reside in wooded tracts and tree plantations. They try to stay away from deserted regions. Hoopoes: This bird can be seen in North India digging out insects from the soil from dawn to dusk. Their egg laying season is in early spring of the northern hemisphere. They build nests in the cavities of trees and buildings. Unlike some other bird species, they aren’t wary of humans. Sarus Crane: Also the largest bird of India, this crane was once found nowhere outside the country. This happens to be the only crane species in India which stays in the country all year round. It exists along the Gangetic plains. It lurks about in shallow waters digging into the mud eating aquatic plants, insects (mainly grasshoppers) and fish (during captivity). It breeds predominantly during the monsoon in India. This bird is venerated by Indian Hindus and there was a prohibition against eating its flesh in ancient Hindu scriptures. It was a close contender to the peafowl in the race to being the national bird of India. It’s been observed that if the bird’s mate is killed, its partner wails for days. The killing of the bird is believed to have inspired a deeply grieved sage Valmiki to pen the Hindu epic Ramayan. Swallow Plover: These plover like birds with fork tails, skim over the surface of water and predominantly feed on insects. They lay eggs on sandy islets. An interesting feature of the eggs that they lay is that each egg looks very different. Sunbirds: These birds are honey suckers who are found in the warmer parts of peninsular India and fly away from the colder parts of the country in winter. The male birds have lovely voices and sing as sweetly as canaries. Sometimes they feed on tiny insects. They build unique nests with cobwebs wound round branches from which the nest hangs. Their pear shaped nests are lined with cozy silk cotton. 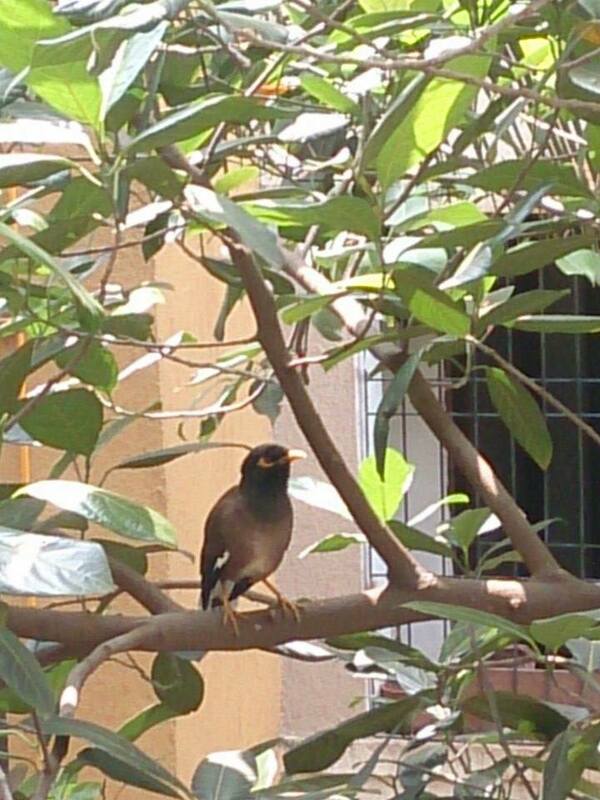 Myna: This bird has a black hooded head, brown body and yellow patches below the eyes. Mynas in north-west India are paler than the south Indian birds. They breed all over, right from sea level to a height of 3000 meters in the Himalayas. This bird uses and also usurps the nests of woodpeckers and parakeets, often by knocking out the chicks. They feed on arachnids, insects, reptiles, crustaceans, seeds, small mammals, grains, fruits etc. 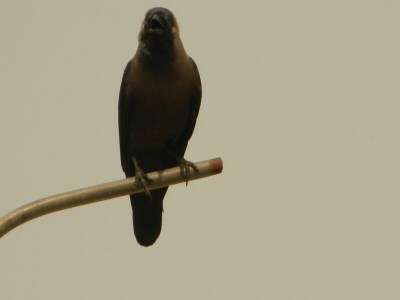 Seeing one myna is considered unlucky and seeing a pair is thought to be lucky in India. Crow: It’s a very common bird in India. They are carrion birds which are believed to clean up the place. Crows’ nests are seen often on Indian trees. At marketplaces they are seen sifting through garbage for scraps of food. This bird also has an interesting place in Hindu mythological literature. Sparrow: Sparrows, seen widely in India twenty years ago, now are an endangered species in the same country. The house sparrow has a merry, chirping call. Animal activists all over India are raising a hue and cry to save this bird. These tiny birds feed on cereal grains, livestock feed and insects. 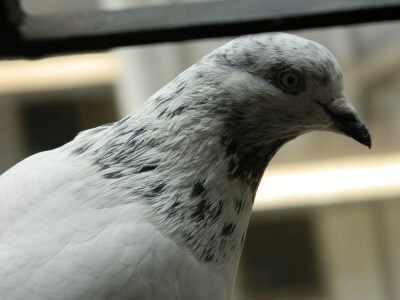 Pigeon: Feeding pigeons is considered as a pious act in India. A common sight is people feeding numerous pigeons food grains in public places, especially early in the mornings. White pigeons with tails with gorgeous plumes were patronized by Indian royalty in yesteryear. This entry was posted in Blog, india, Who Or What Is and tagged birds, india, Pallavi Bhattacharya by Joy Jones. Bookmark the permalink.